Join us May 4th, 7pm, LA for our next show in support of the amazing non profit, Young Storytellers. Hilarious, moving, inspiring stories for a cause. Find it in the Itunes Store or through the podcast app of your choice! Tell your story, listen to stories, donate to help others tell their stories. 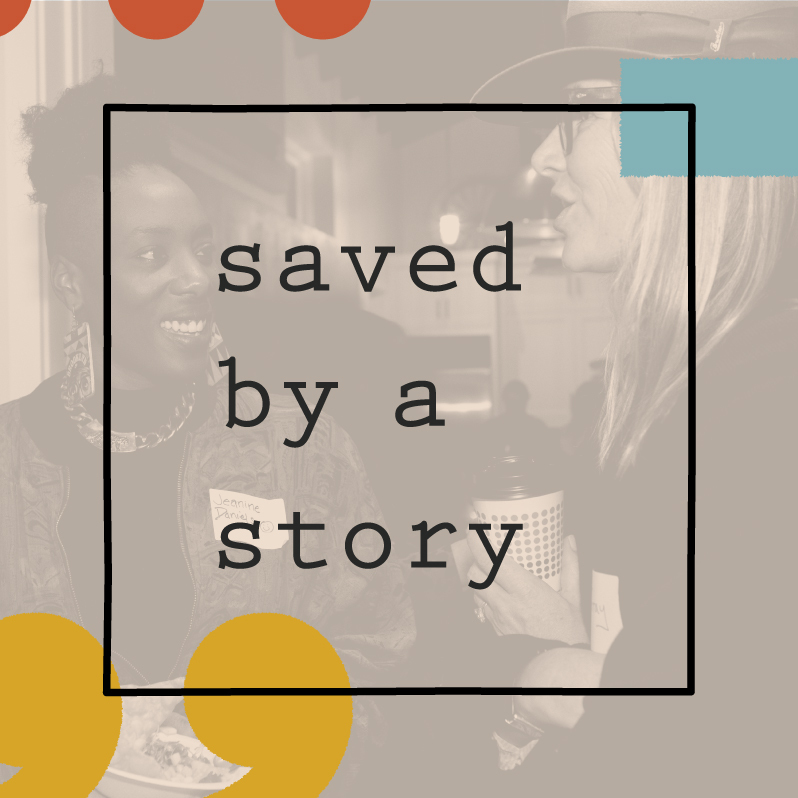 Saved by a Story promotes the art of storytelling and the building of community for everyone. Writers, story tellers and the occasional song writers come together to tell, read, sing and share stories–sometimes hilarious, often moving, frequently inspiring, always soulful–on a selected theme. Come to share. Come to listen. Just come. Salons are eight ten minute stories in an intimate setting. 100% of ticket sales go towards a chosen organization that is helping underserved people to tell their stories. Seats are limited and sell out. Check out upcoming shows and, if you want to share, submit your story.